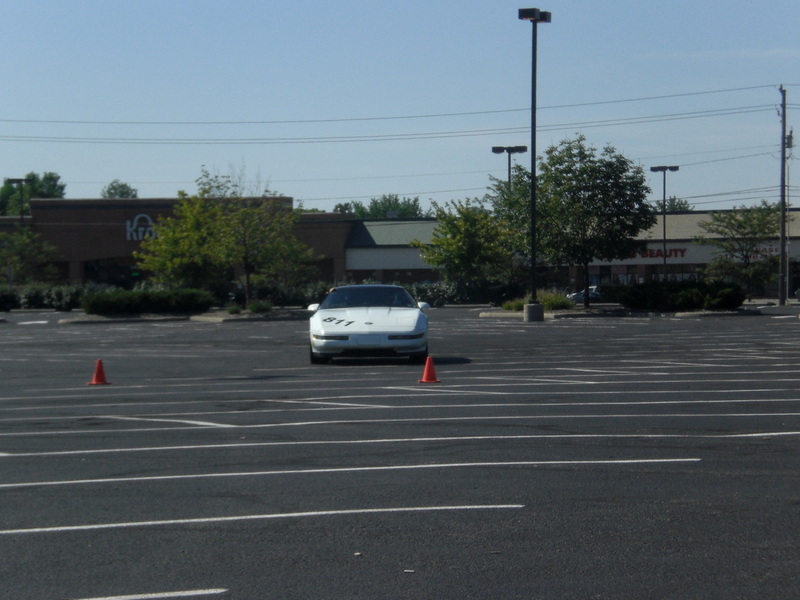 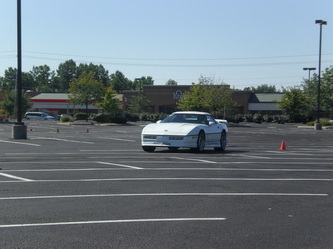 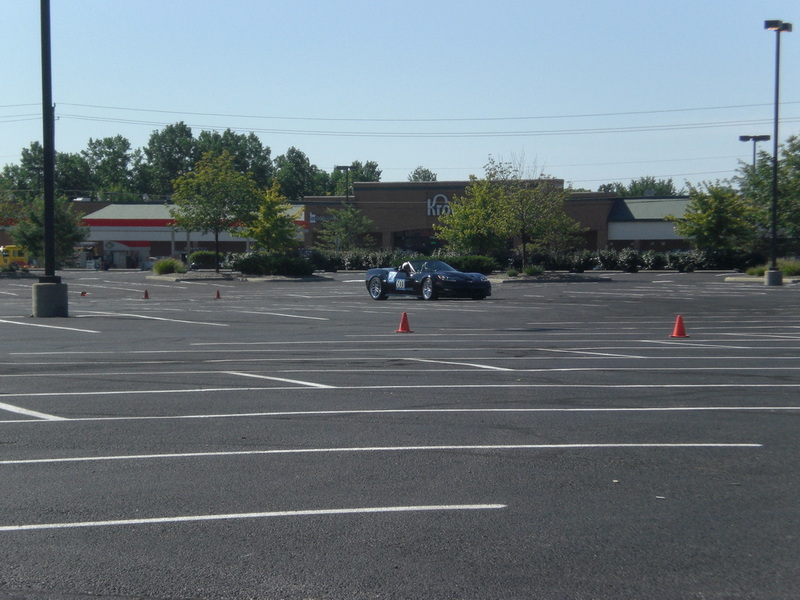 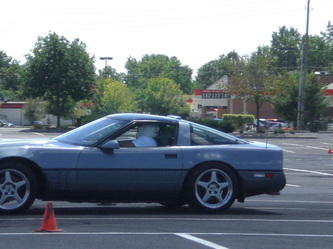 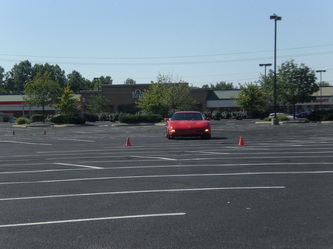 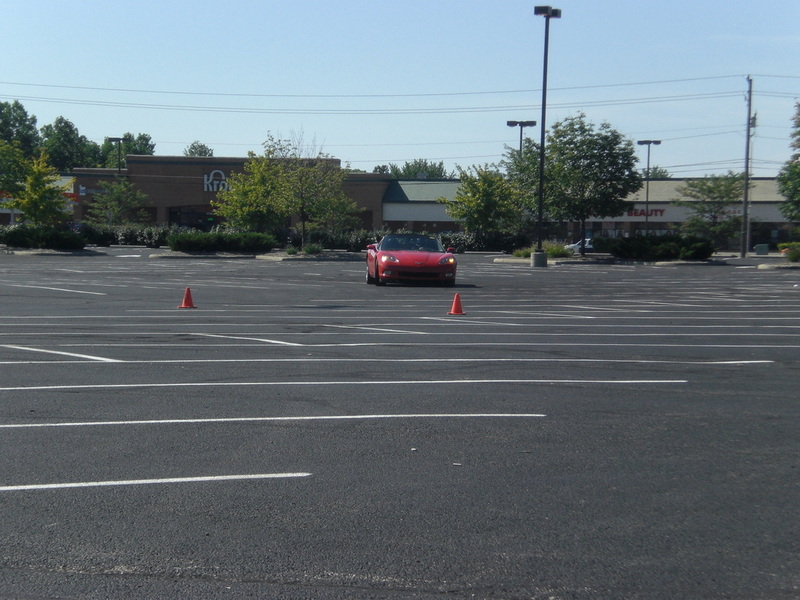 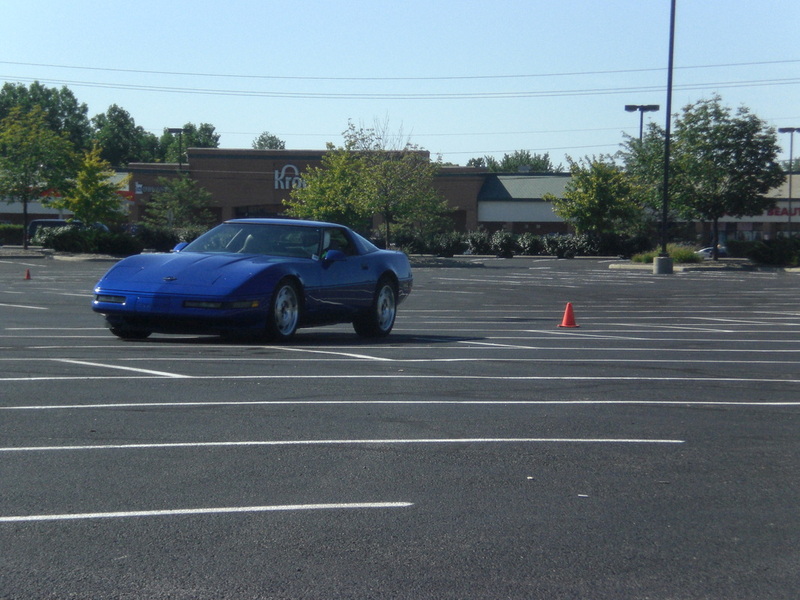 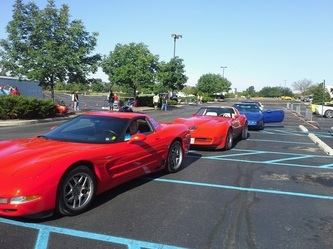 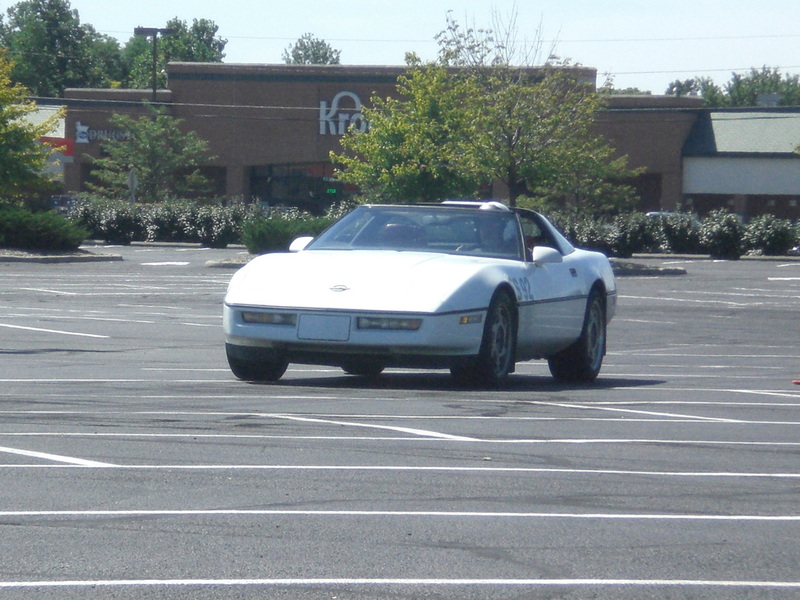 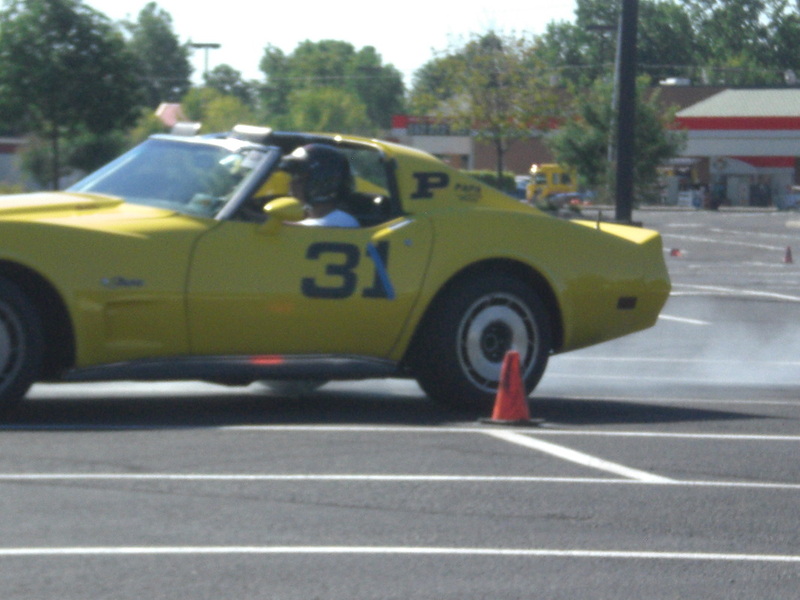 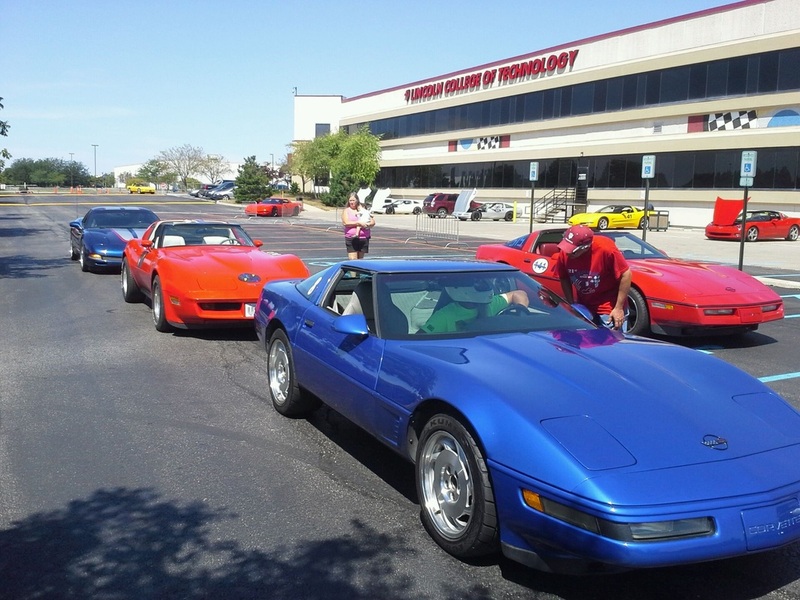 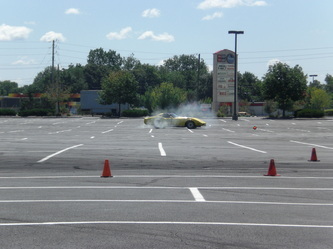 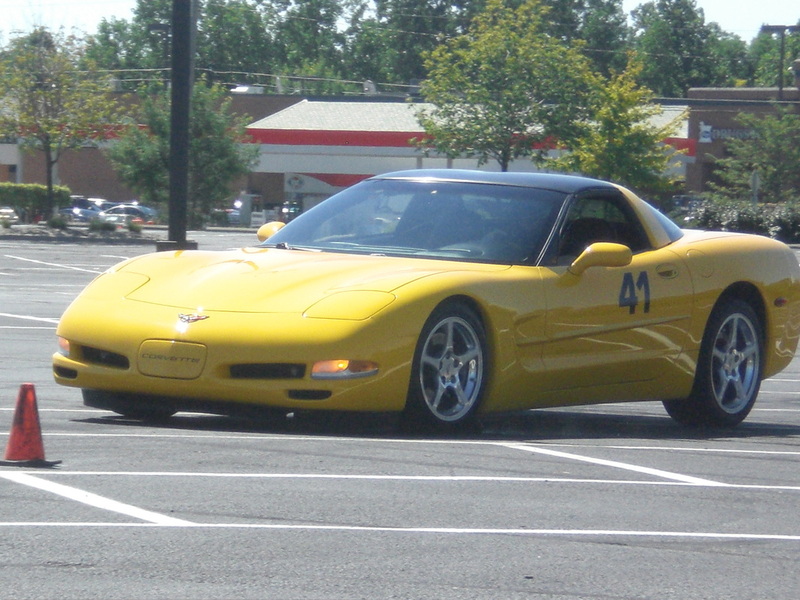 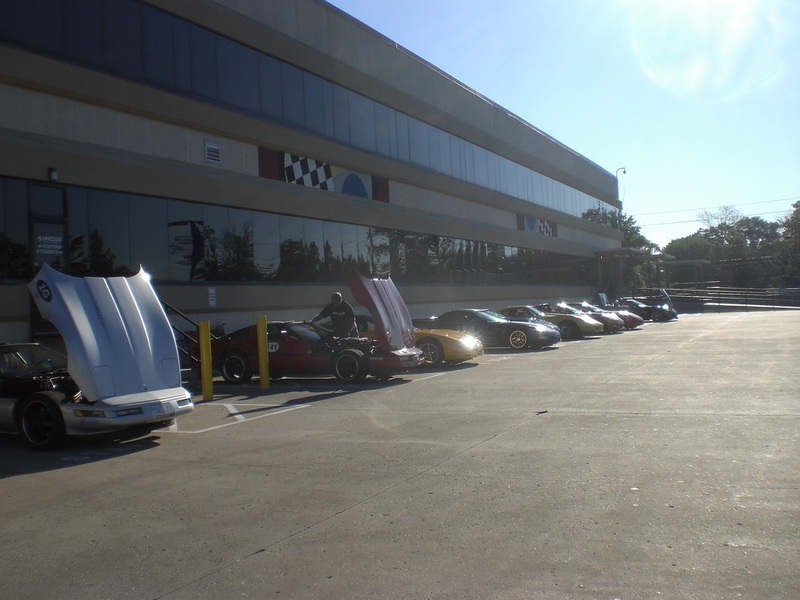 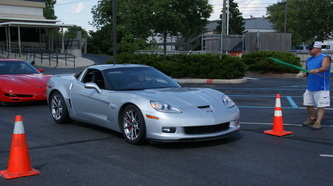 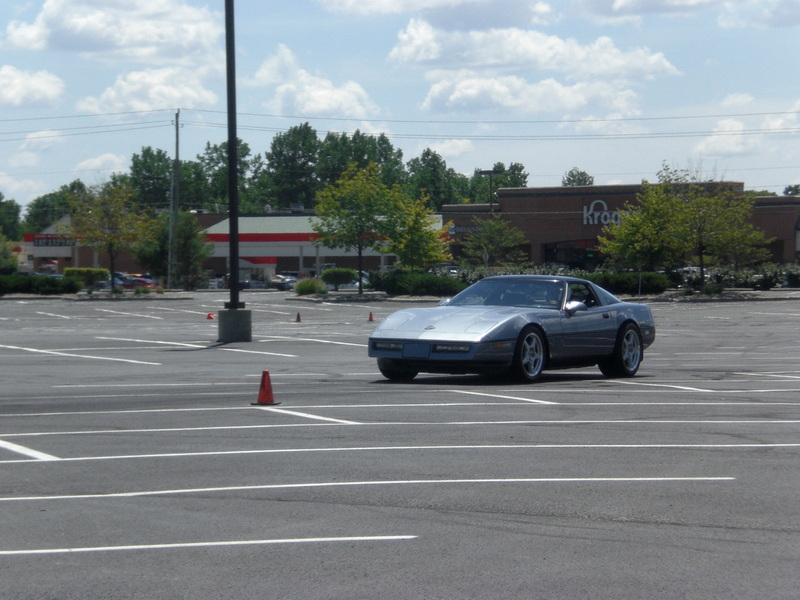 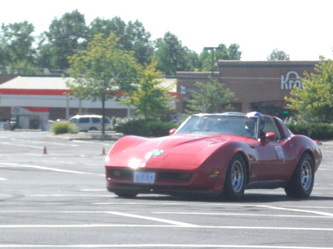 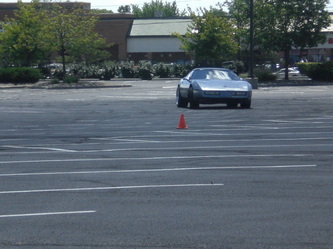 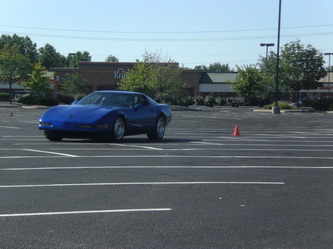 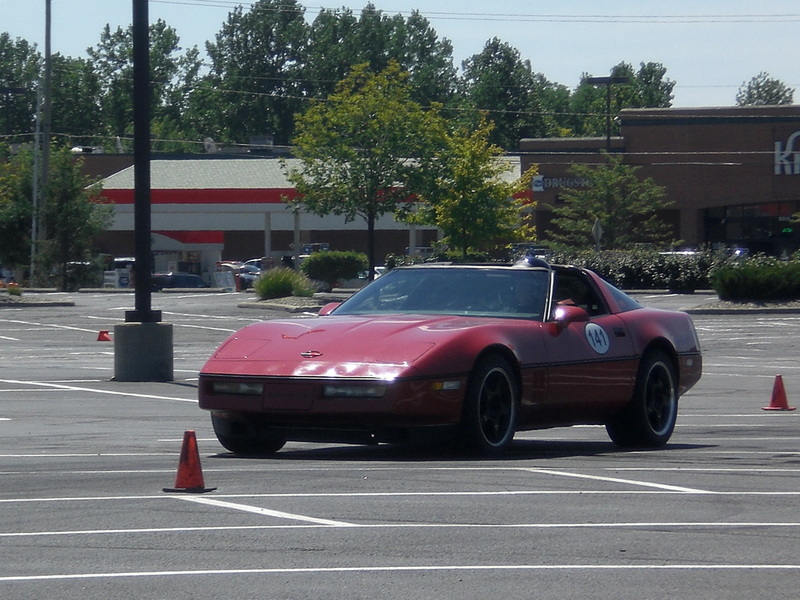 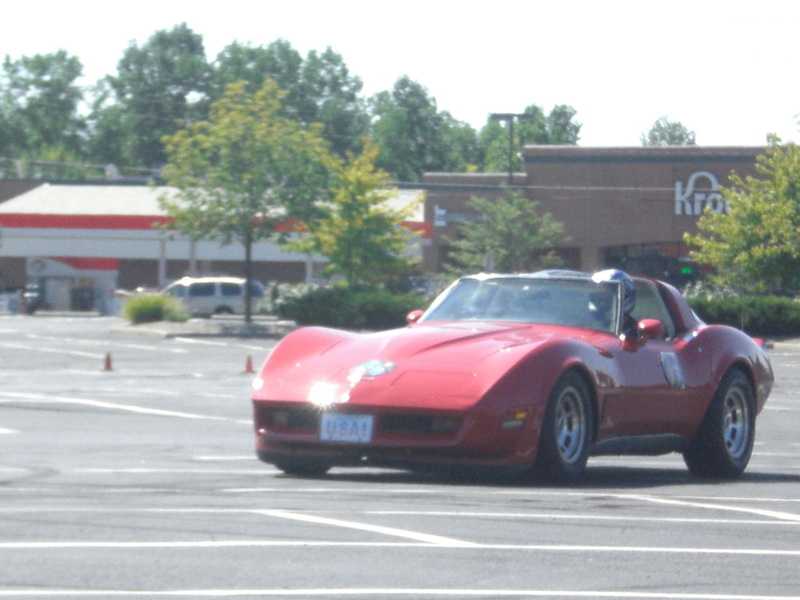 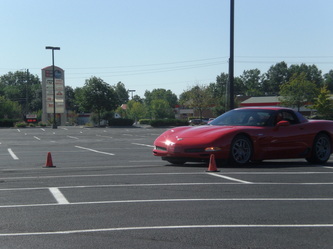 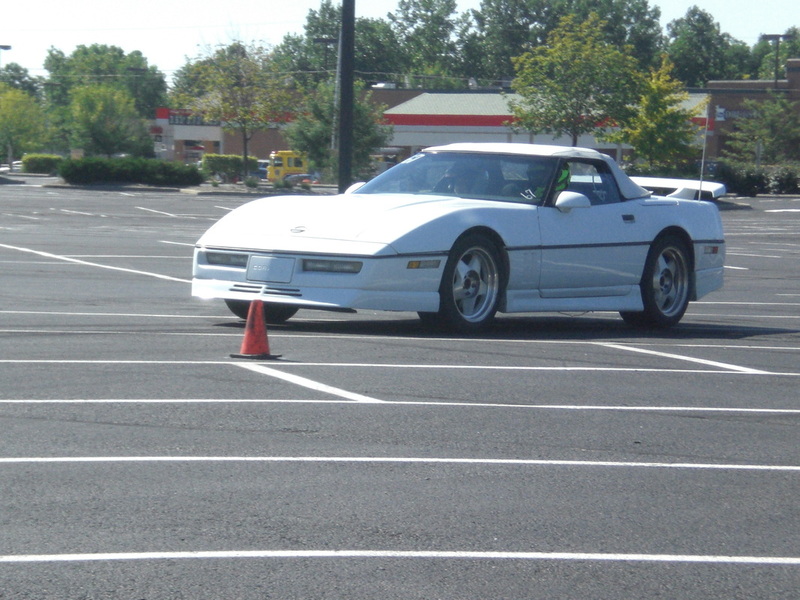 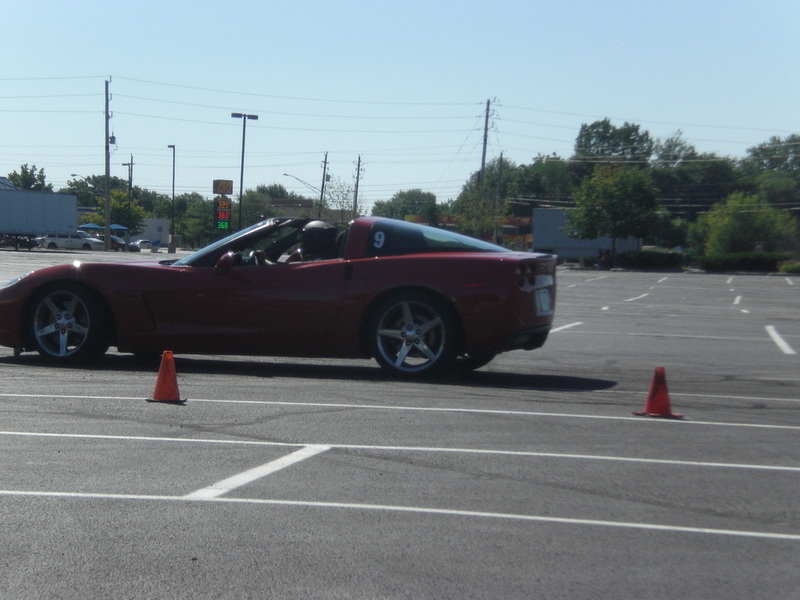 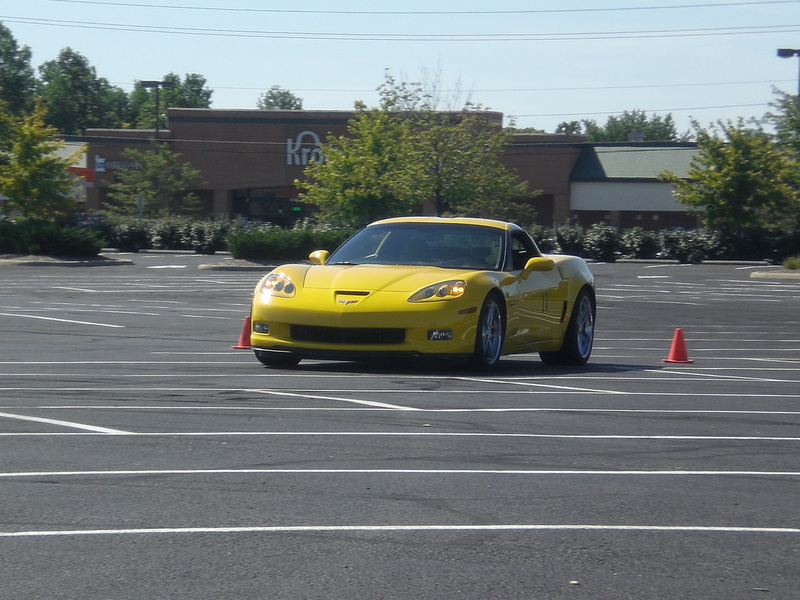 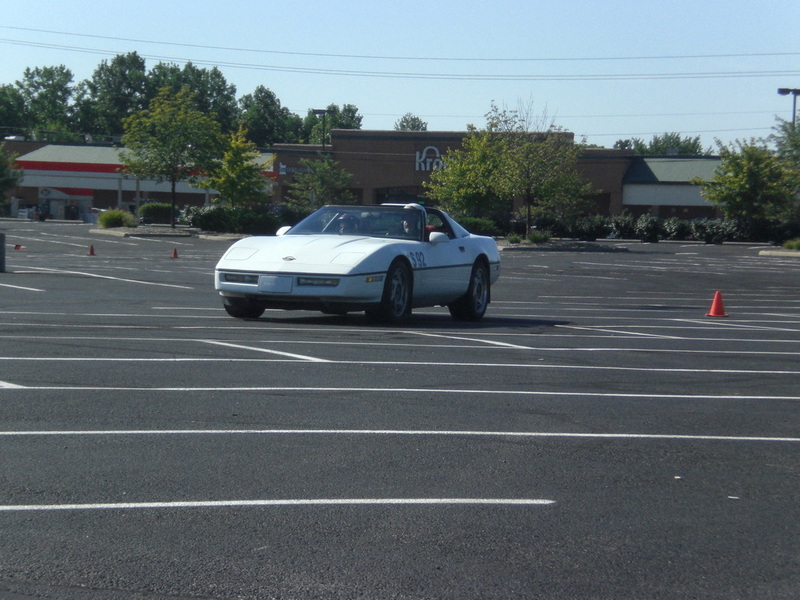 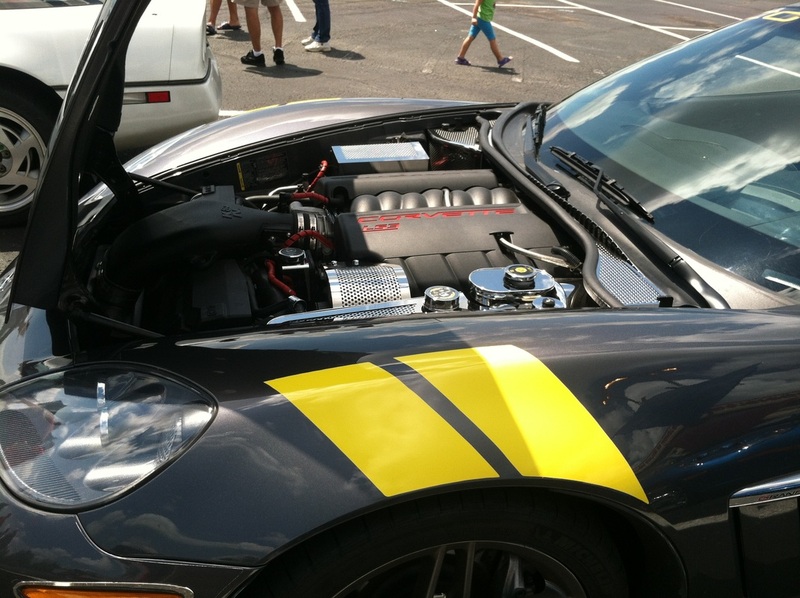 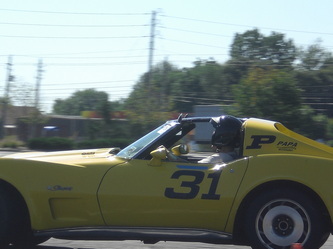 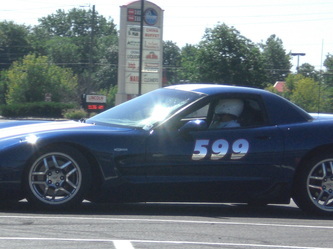 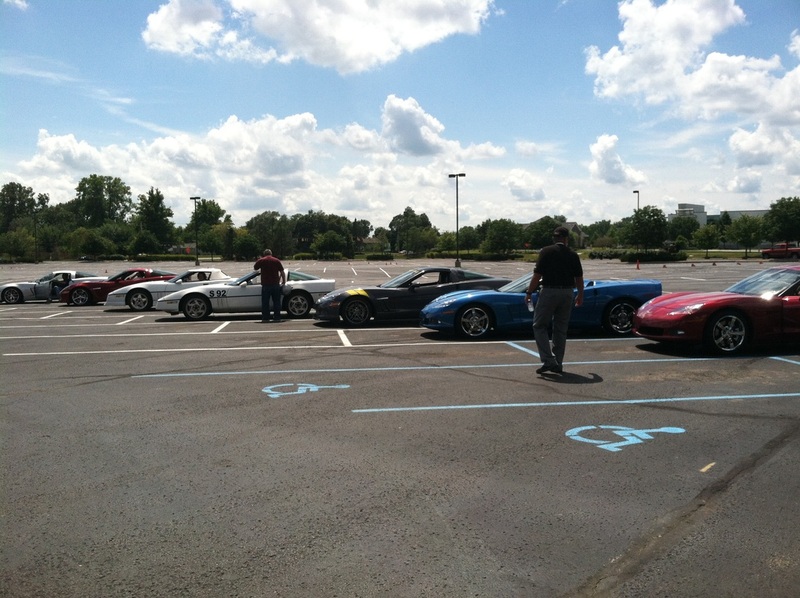 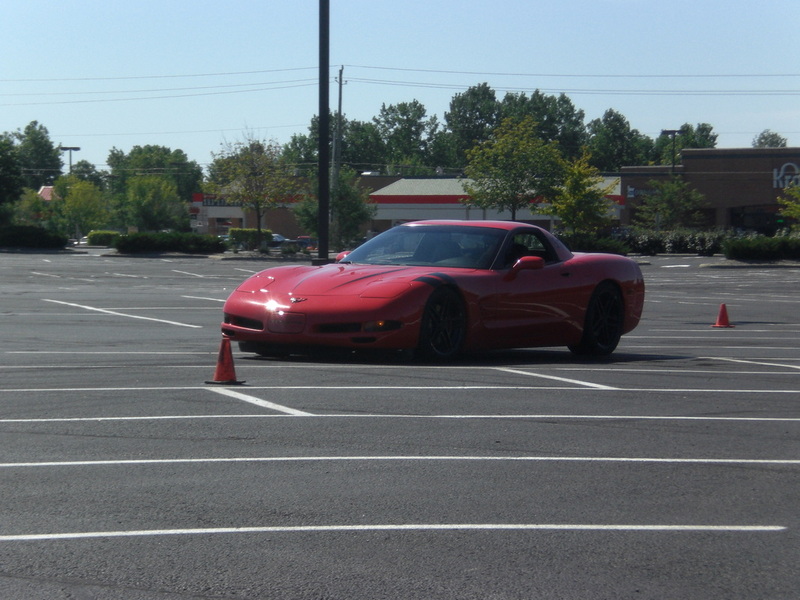 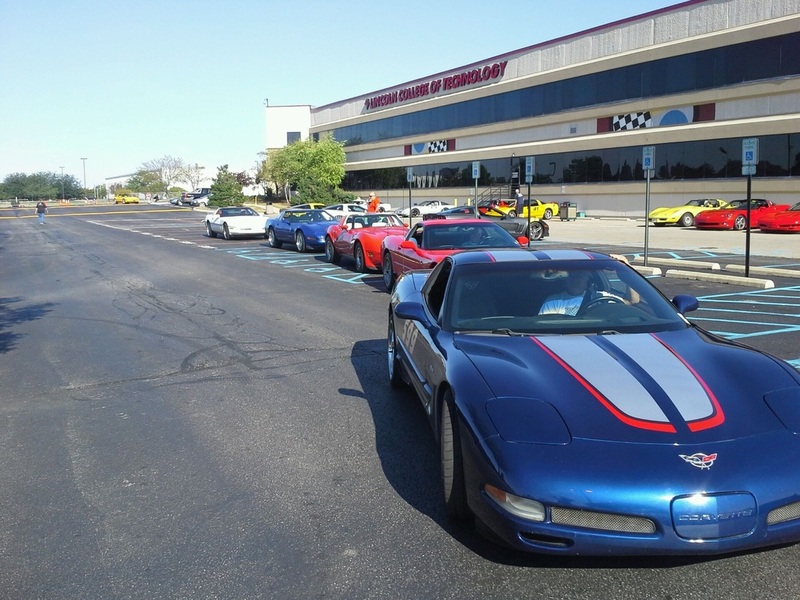 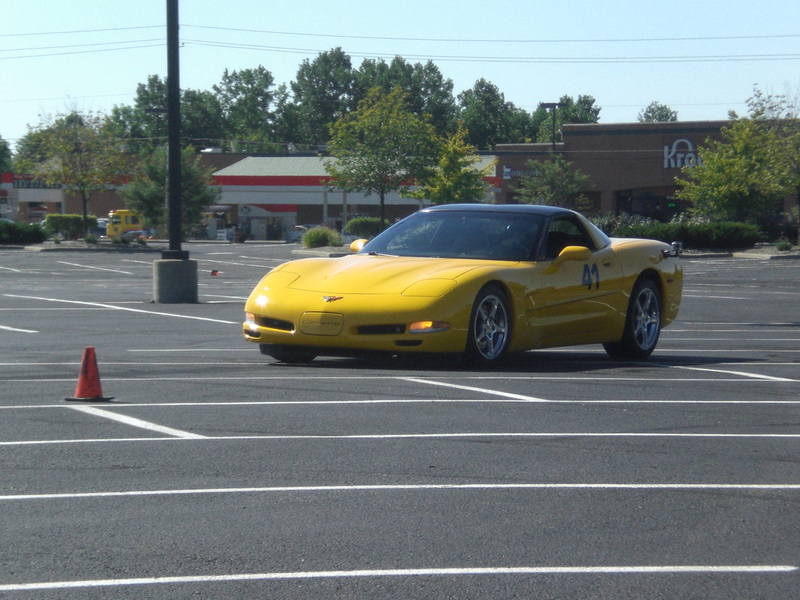 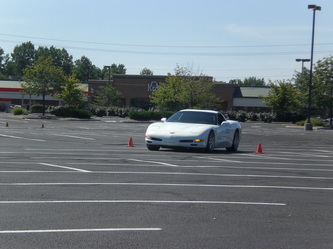 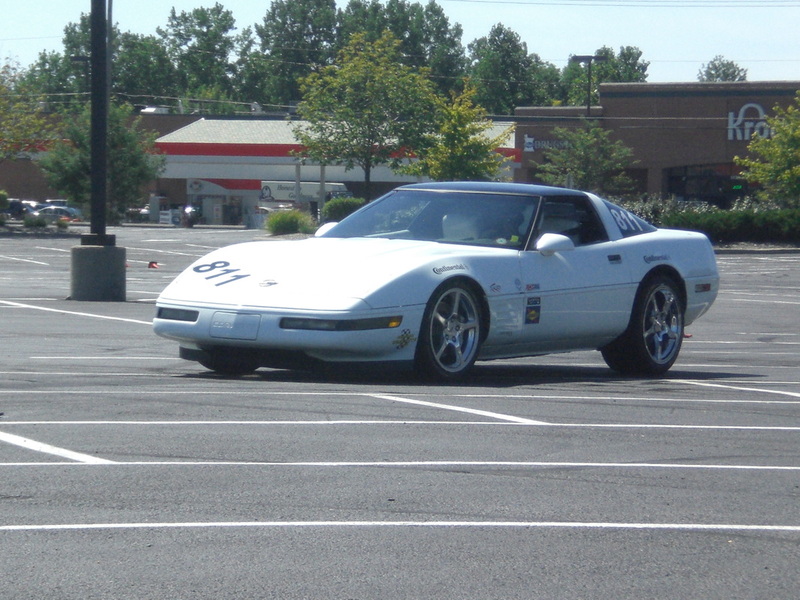 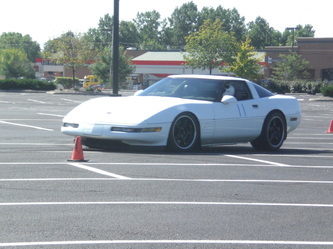 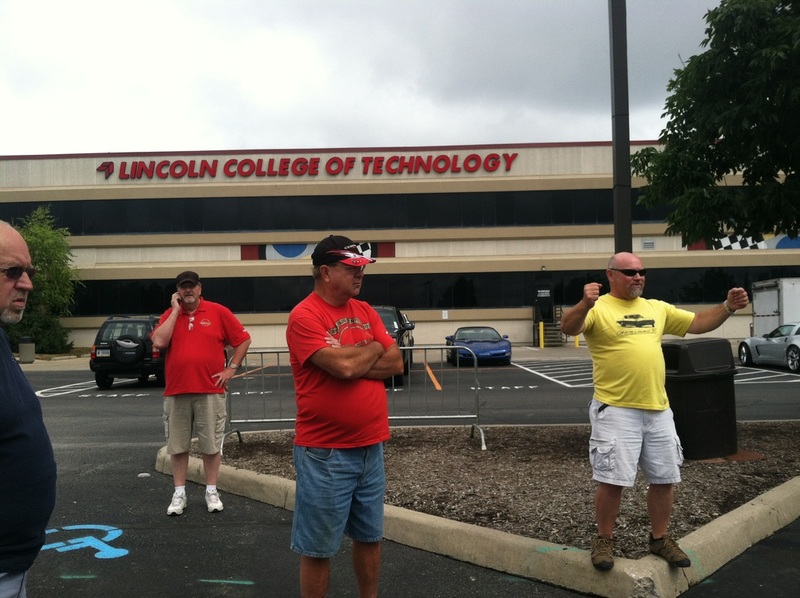 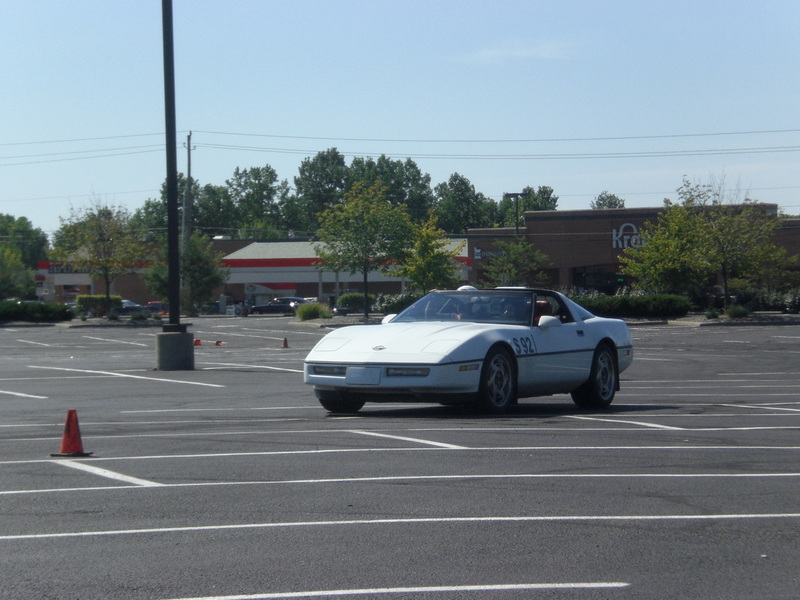 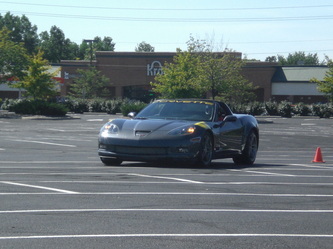 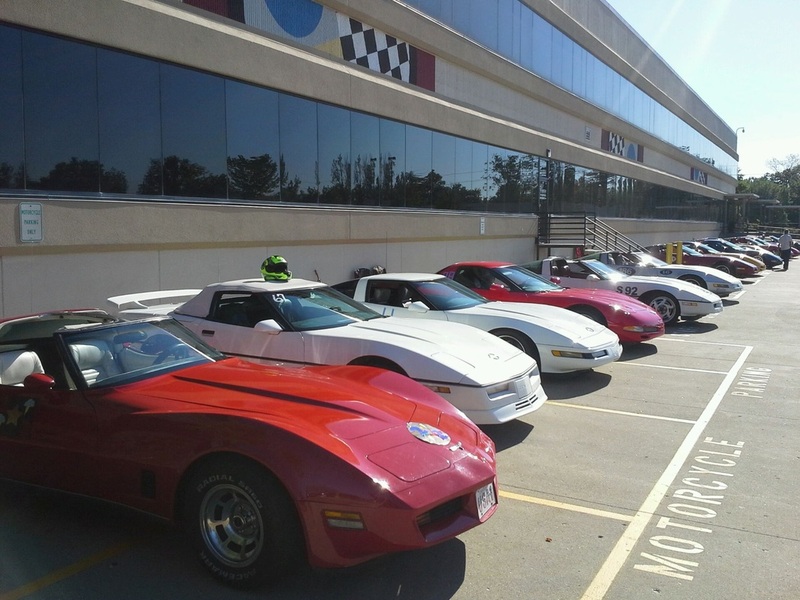 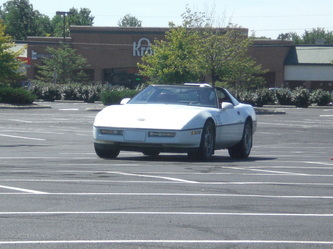 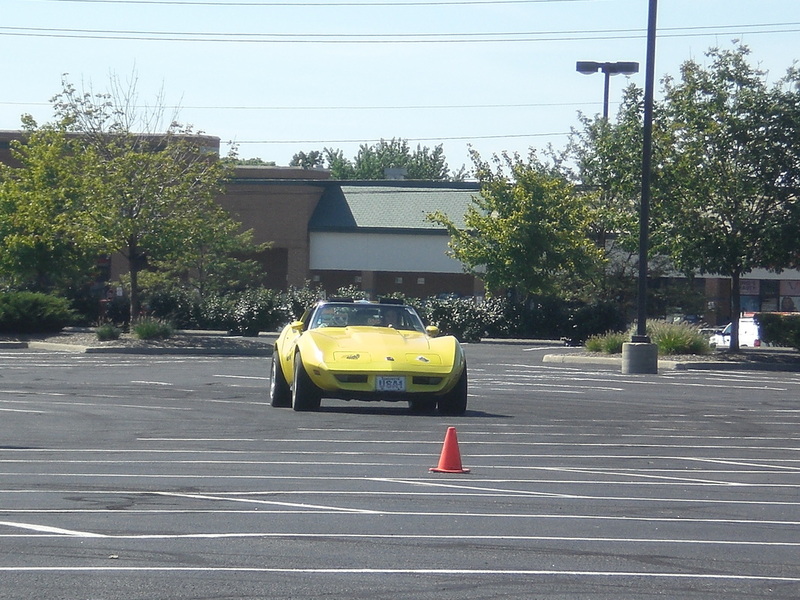 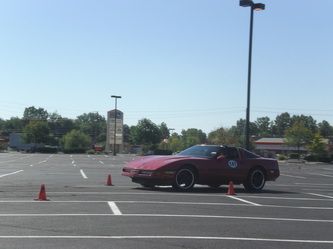 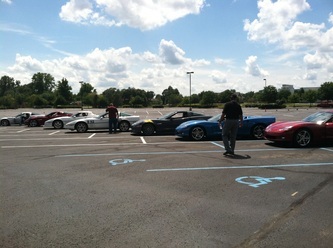 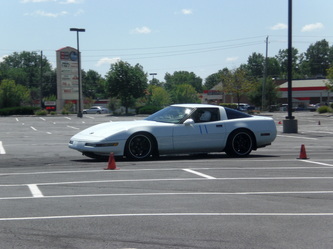 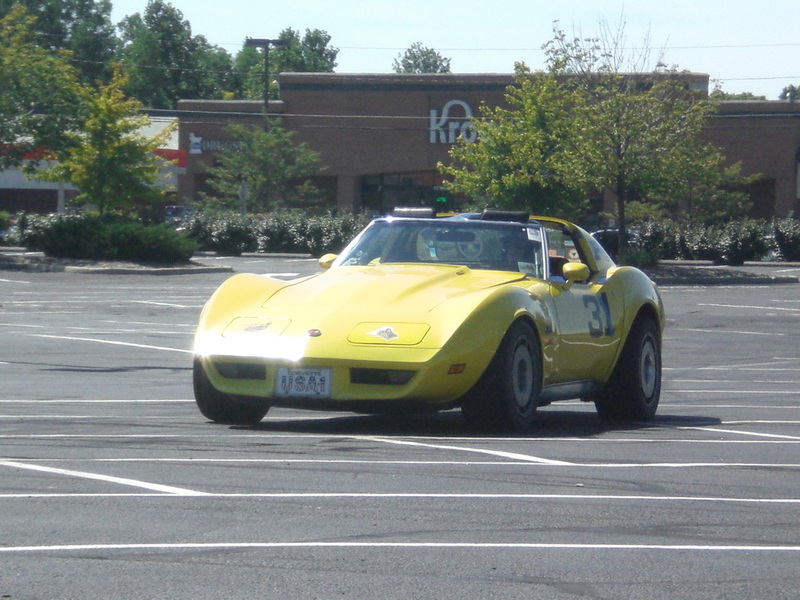 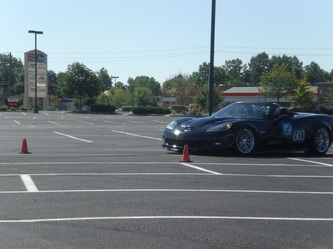 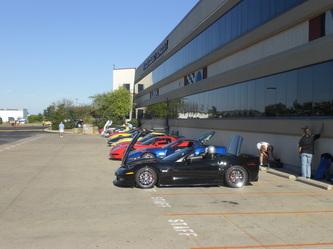 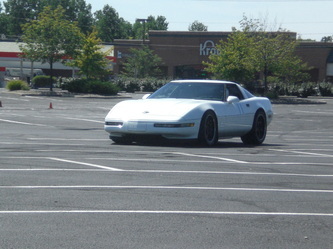 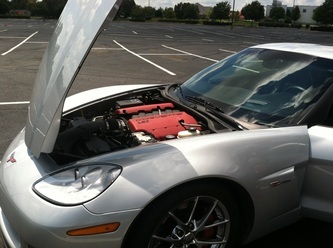 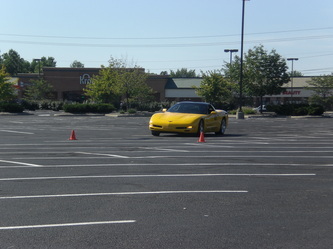 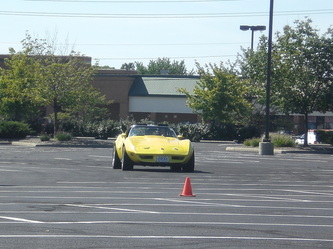 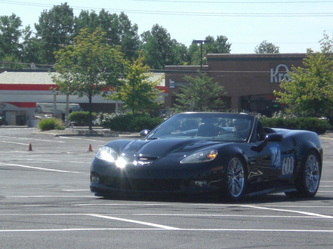 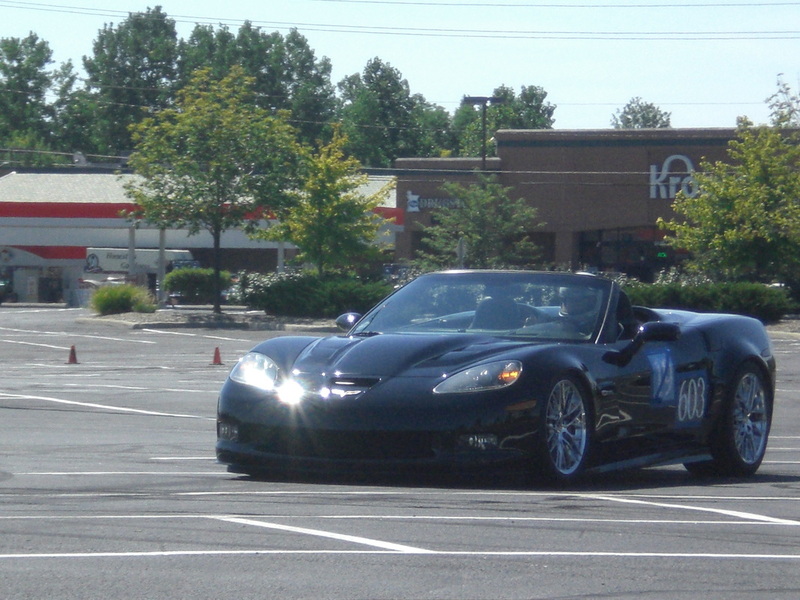 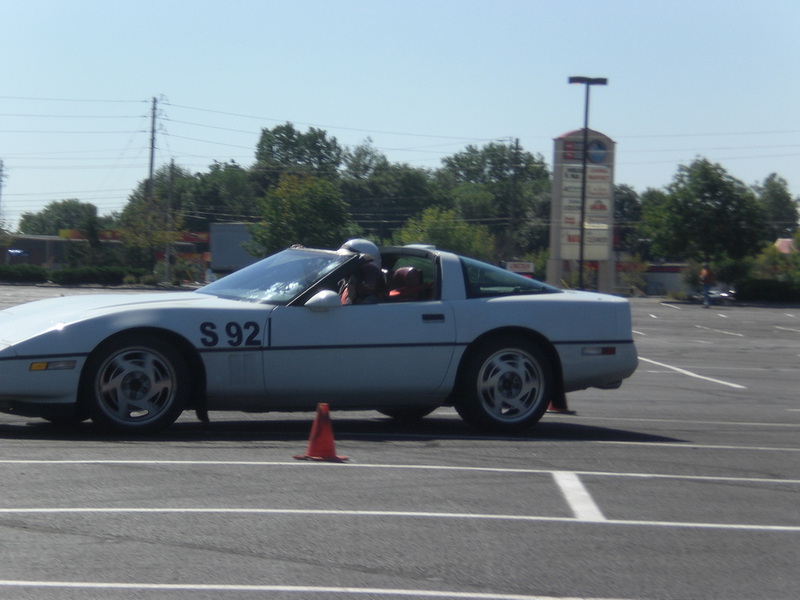 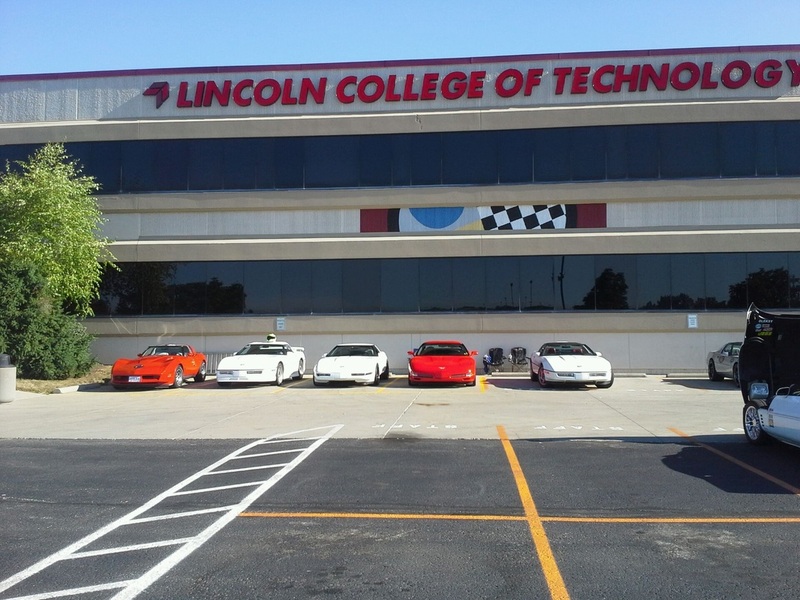 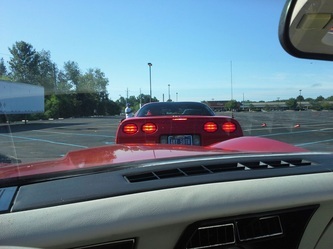 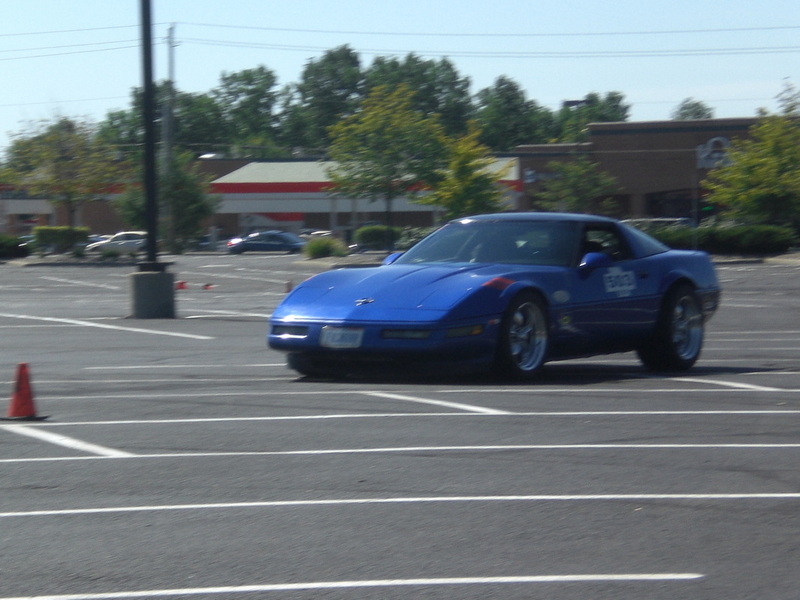 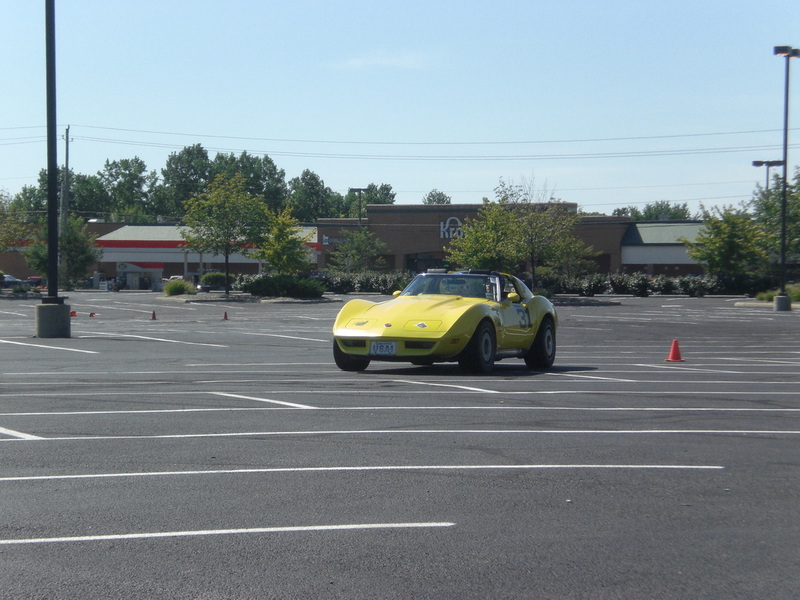 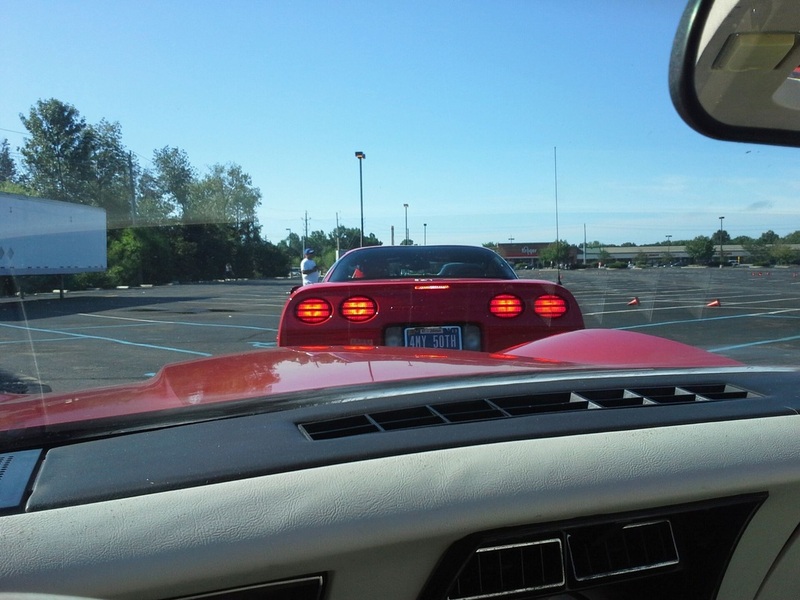 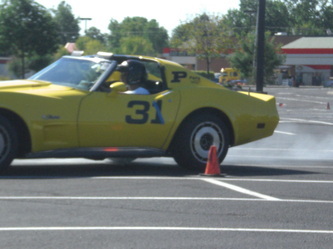 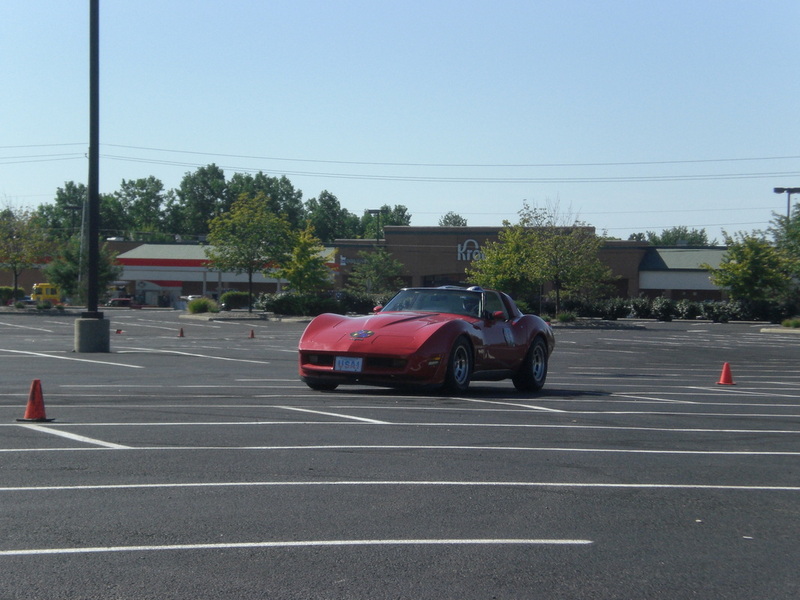 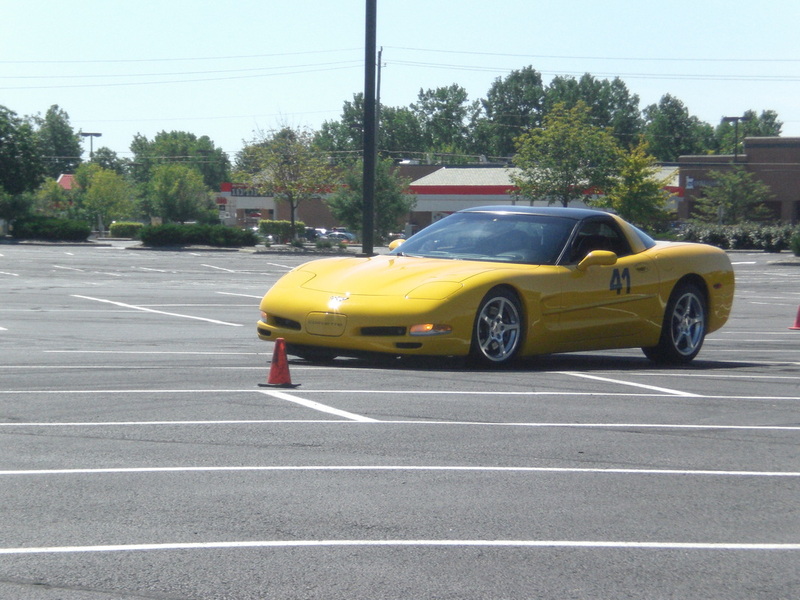 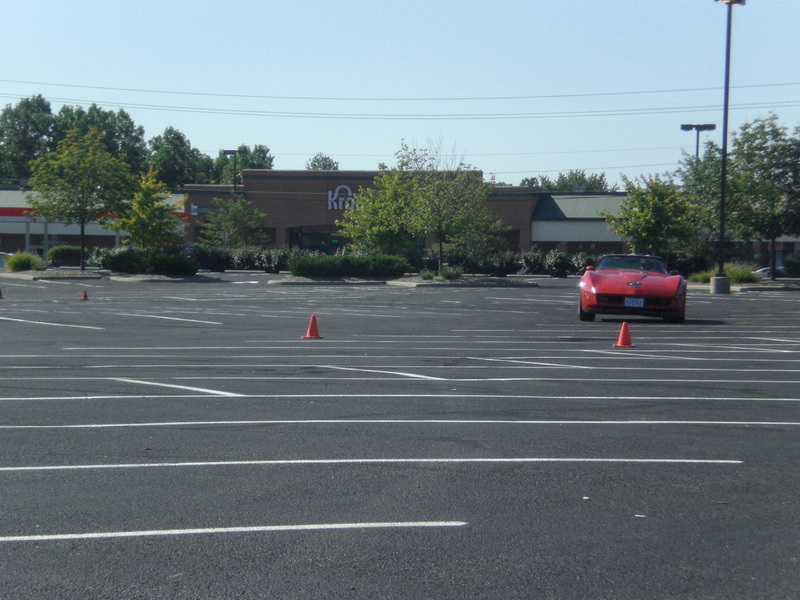 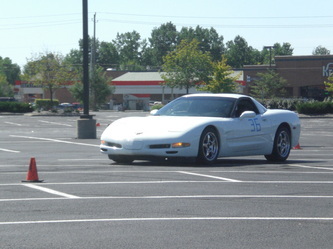 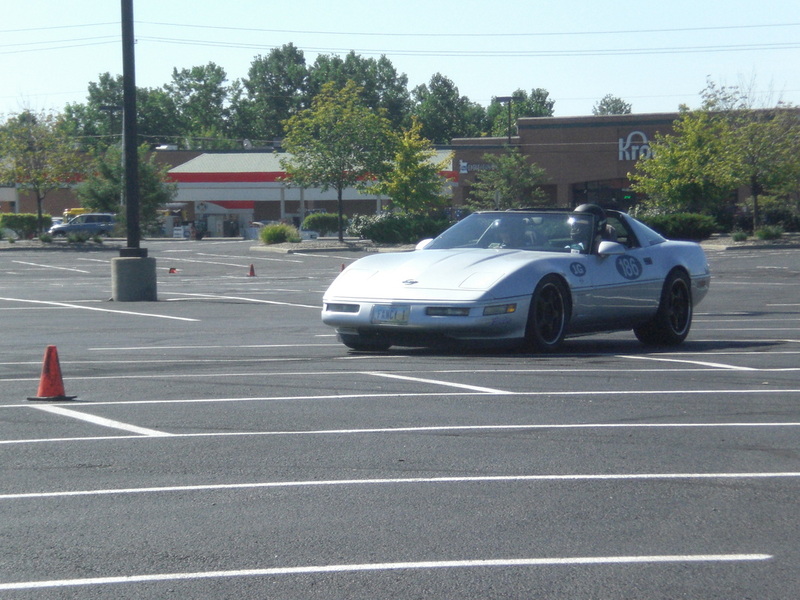 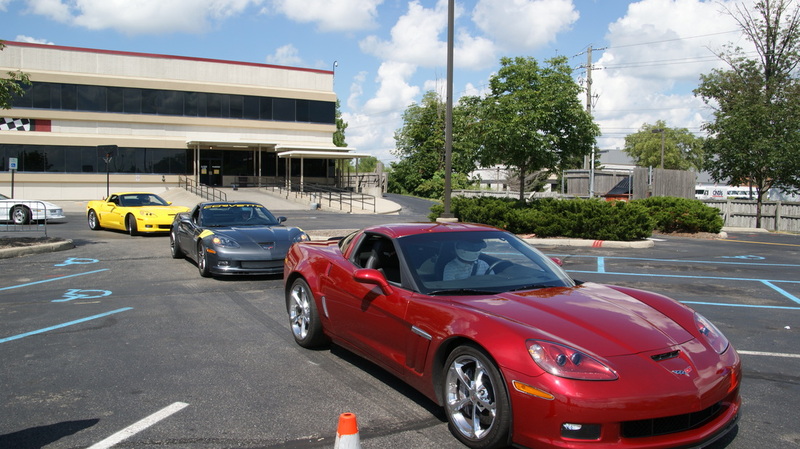 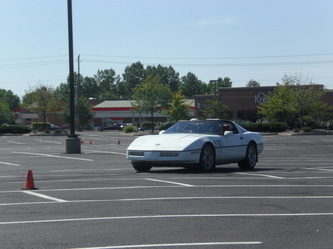 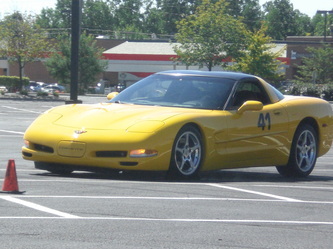 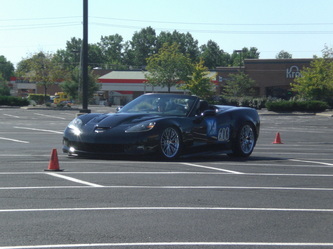 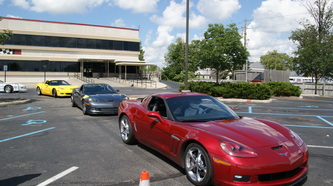 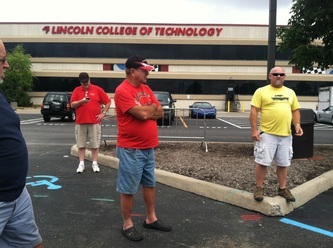 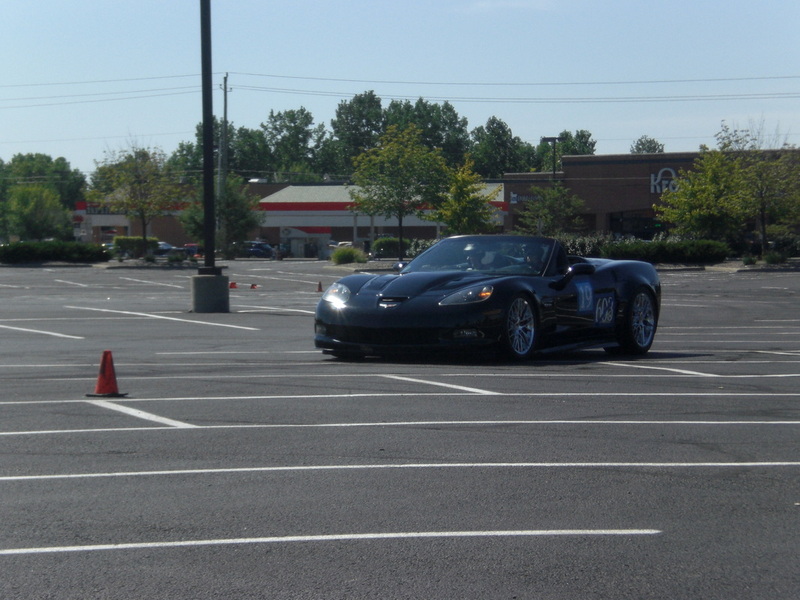 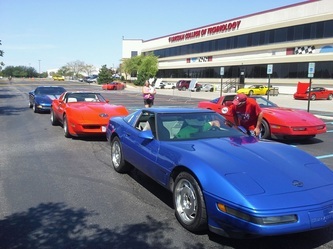 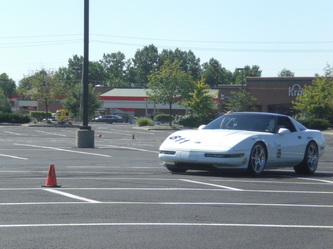 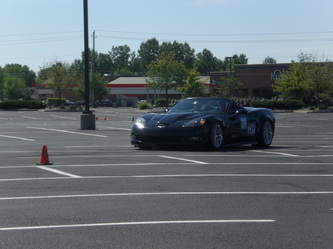 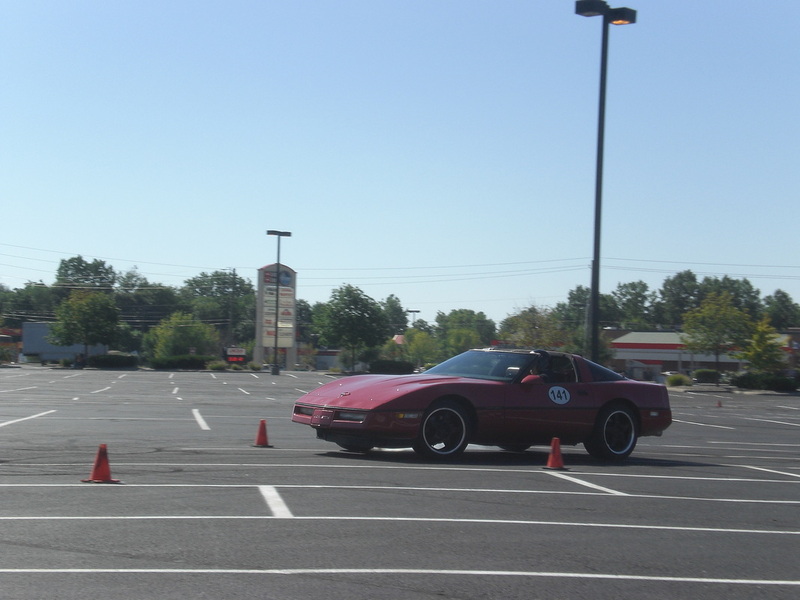 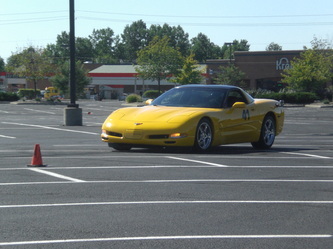 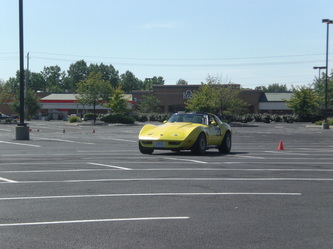 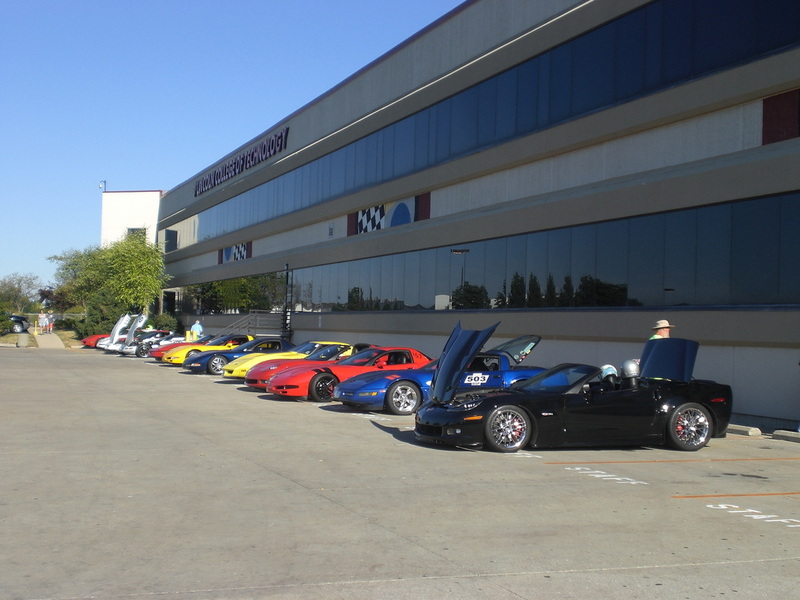 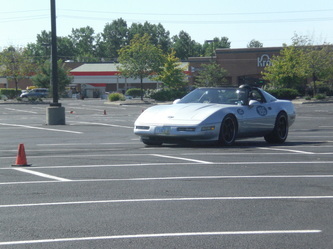 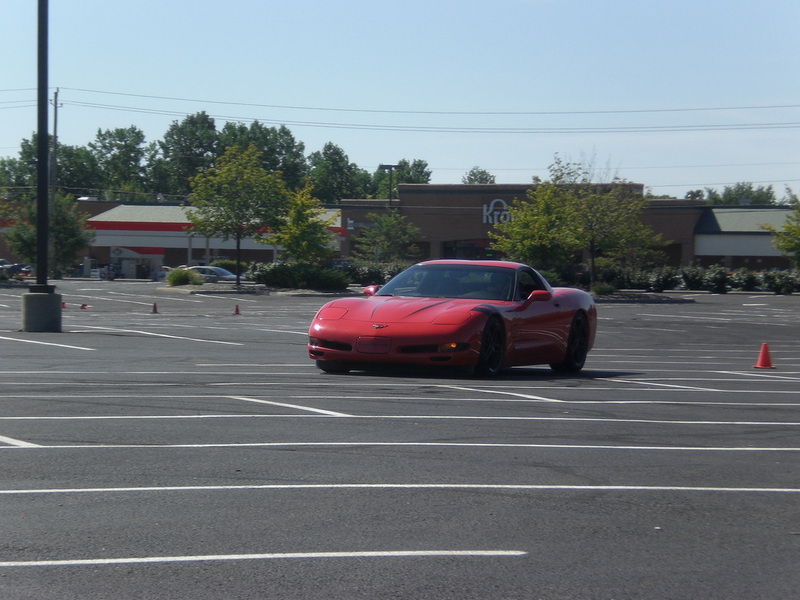 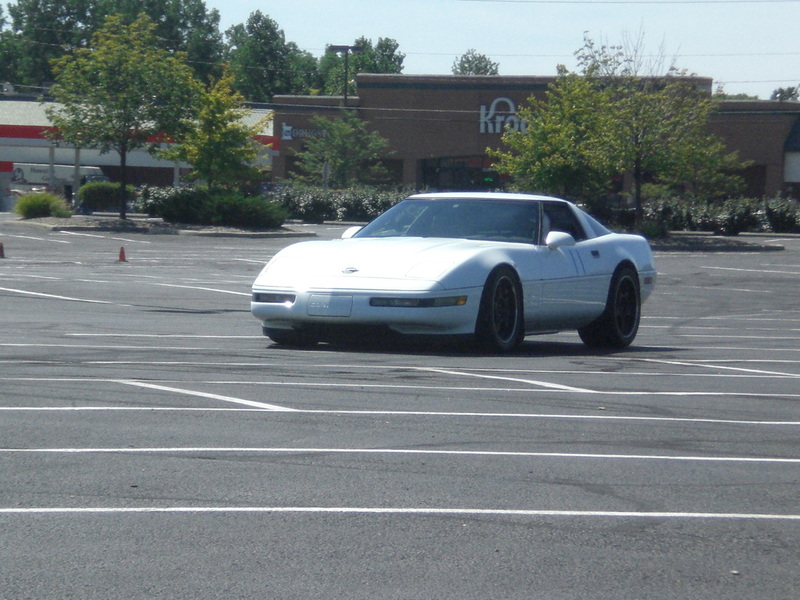 On the weekend of August 3 & 4 the Corvette Indy Corvette Club in conjunction with the Indiana Region held an Autocross Driving School on the campus of Lincoln College of Technology in Indianapolis. 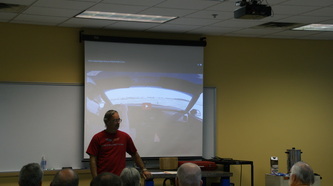 A classroom was held in the morning and taught by the Region's former RCD and current RE Mike Godfrey. This class was over two hours of driving theory and general car preparation information before going to an autocross. The class of over 35 was attended by mostly novice drivers, but there were a few seasoned ones there also. 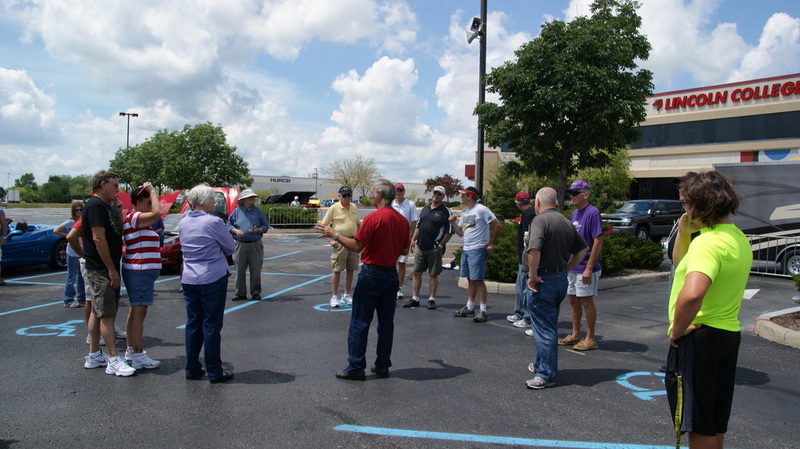 After the classroom 20 attendees took advantage the offered driving exercises which were conducted by the seasoned drivers. 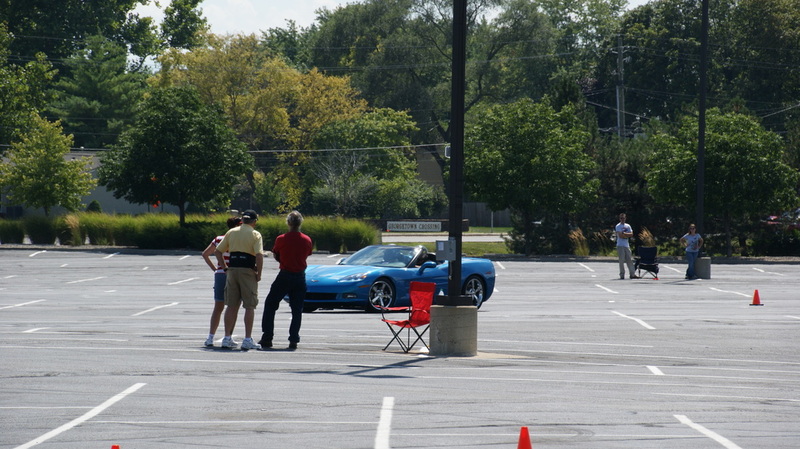 Once the driving exercises were finished and a lunch break taken the group got a chance to try the full autocross course set up for Sunday. 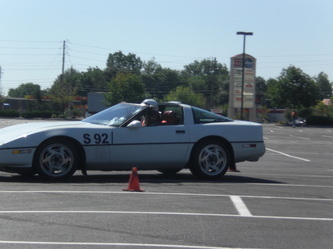 There were no times taken, but each person got three runs, with an instructor if they wanted one. 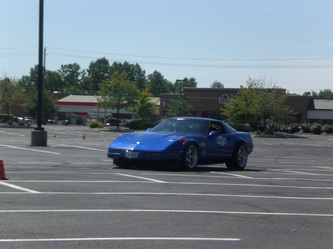 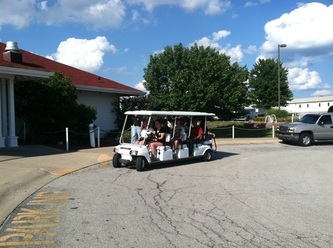 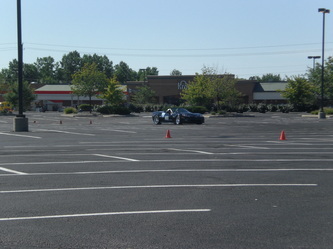 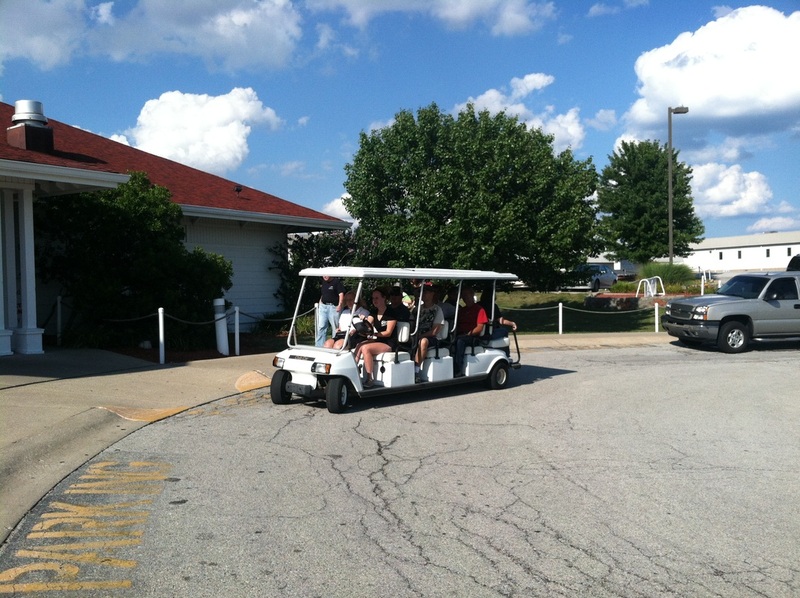 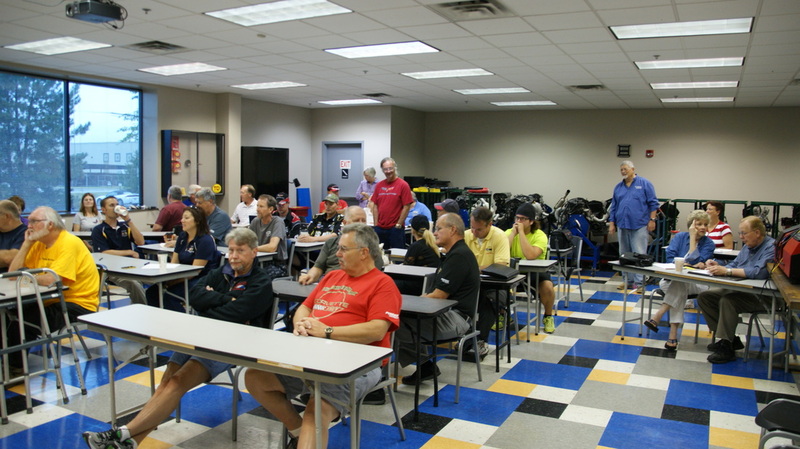 A total of 6 Indiana Region and 1 Western Ohio Region clubs were represented at the driving school. 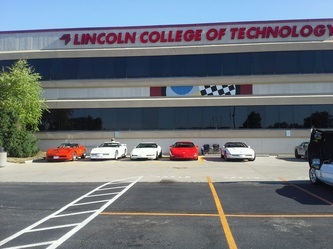 With the success of this school there certainly be others planned for the future at different locations through out the Indiana Region. 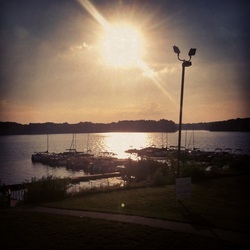 On Sunday 4 sanctioned events were held with three runs for each event giving all of the competitors to have a complete day at the new venue for Corvette Indy's Main Event next year, which will celebrate the club's 25 years of holding the two day event in the Indianapolis metropolitan area. Thanks to Lisa from LCC and John from HCC for the photos!